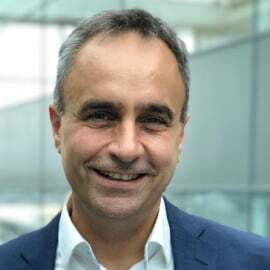 Aboudy recently took up the position of Chief Commercial Officer at London Stansted Airport after more than 20 years in the airline business; where he held a number of senior Commercial positions in both full-service and low-cost airlines across Europe, the Middle East and Asia-Pacific region. Prior to joining London Stansted Airport, Aboudy was Senior Vice President, Planning and Revenue Management at Oman Air, responsible for Network Planning, Revenue Management, Commercial Planning, Distribution, Ecommerce, and Ancillary revenue. Before that, Aboudy was the Group Head of Sales, Distribution and Ancillary revenue for all AOCs in the AirAsia group, having joined AirAsia after eight years as Head of Sales Strategy and Planning at Etihad Airways.